A big China-based investment firm, Elite International Investment Fund, has started to cash out of U.S. apartment buildings, raising the question of whether overseas investors that have flocked to own American rental properties can provide an indication of that market’s peak. Elite International Investment Fund, of Beijing, has sold six newly built rental properties totaling over 1,600 apartments in Massachusetts, Texas, and Colorado in the past three months, according to sources close to the deals. Altogether, the properties fetched close to $500 million. Institutional Multifamily Partners, a partnership between California pension fund CalPERS and Boston advisory shop GID, bought all of those properties in separate deals. Elite’s exit from those apartment investments may raise eyebrows because it runs counter to an inflow of overseas investment into U.S. apartments. Foreign investors such as China-based firms, European funds and sovereign wealth funds from the Middle East and Asia helped rocket sales in the U.S. apartment sector to record highs. The $181 billion in apartment sales last year is up from just $42 billion in 2010 as overseas demand was lured by the relatively stable cash flow provided by American renters. That keeps real estate professionals looking in vain for the beginning of any apartment market peak as the length of the U.S. economic expansion approaches a record stretch in July. Brokers and advisers had spent years convincing foreign investors that the American rental market was a good bet. Most money managers outside the United States don’t have institutional-sized apartment investment opportunities in their home countries, and were unfamiliar with the charms of this asset class. Led by Canadian and Norwegian investors in 2011 and 2012, foreign investors quickly warmed to the multifamily market as home ownership in the U.S. dropped, apartments filled up and rents and rental property values soared. The appeal of multifamily became clear, and foreign investors poured billions into the market. In the past few years, experts have wondered whether the apartment market can stay as strong as it’s been or if it’s passed its peak. But apartment analysts don’t see the recent sales flurry by Elite as necessarily a vote of no-confidence in the multifamily market. Rather, Epenshade and others say the exit seems traditional: as an equity partner Elite waited until the properties were built, leased and operating efficiently before cashing out — at a time when rentals are still among investors’ favorite targets. In the most recent deal to close, Elite, and partners Mill Creek Residential, of Dallas, sold the 279-unit Hopkinton at Windsor in suburban Boston to IMP for $93 million, or $331,000 per apartment. The garden-style complex, just west of Boston, is close to Hopkinton’s starting line for the Boston Marathon. It was completed in 2016 and is now about fully leased. The deal closed two weeks ago. 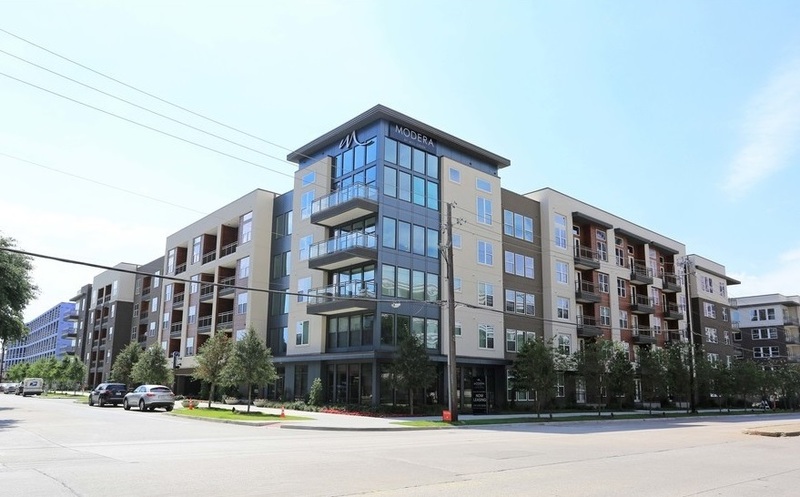 Among the other five properties Elite has sold off are two Dallas complexes: the 207-unit Windsor Turtle Creek, at 3663 Cedar Springs Road, and the 321-unit Windsor by the Galleria, at 13290 Noel Road. Both properties were completed in the last two years. Those deals were struck in October, and are estimated to have commanded about $125 million combined. Elite is a private equity fund founded in 2013 and geared toward allowing China-based investors to get in on the booming American real estate market, particularly new apartment development. They’ve become a silent partner in deals across the country. It’s unclear how many properties the shop still has a stake in. HFF, led by Dallas-based senior managing director Roberto Casas, brokered the recent deals for Elite, and were the advisors for the Chinese shop when they wanted to get into apartment development in the U.S. in 2014. At that time, HFF hooked them up with several national merchant apartment developers including Mill Creek, Lennnar, Wood Partners, Trammell Crow Residential, and others. Elite became the silent equity partner in those developments. Elite has also invested in office properties, including the Alhambra mixed-use development in downtown Los Angeles. The Hopkinton, Massachusetts, property, Hopkinton by Windsor, at 1 Lumber St., is typical of the new apartment properties hitting the market. The complex has all the bells and whistles: a yoga studio, a dog run, a children’s playground, a salt-water pool and a residents club with a chef’s kitchen. The one- to three-bedroom apartments have wood-plank flooring, big balconies, gas fireplaces and nine-foot ceilings. It’s close to the commuter rail linking Hopkinton with downtown Boston, giving renters access to higher-paid jobs in a major city. That makes it easier for apartment dwellers to pay their rent on a steady basis, something overseas investors appreciate in U.S. apartment investments.